Sleestack has a cult following and cult TV origins. When we asked Jennifer at Spokane Green Leaf (who was awesome!) 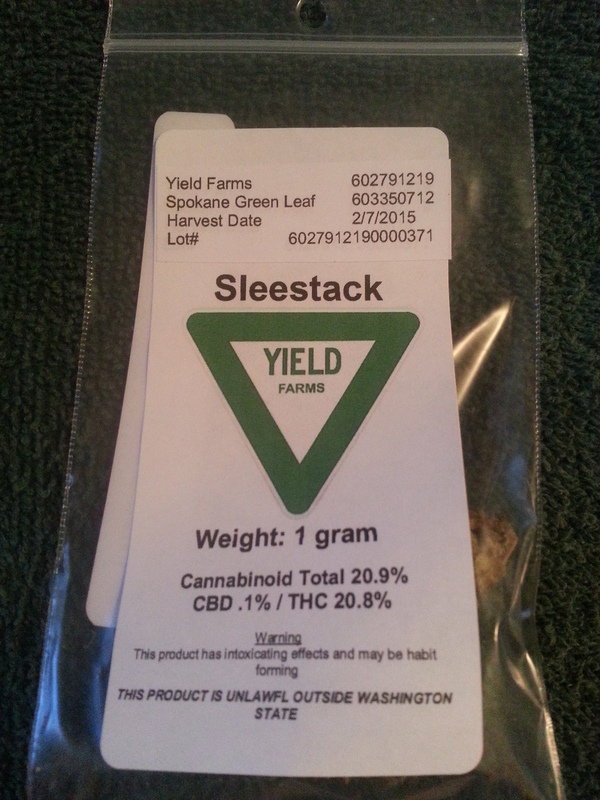 what Sativa-dominant strain we couldn’t leave the store without, Sleestack was the one. We had high hopes for this strain from Yield Farms and it lived up to our expectations. Thank you Spokane Green Leaf! Rating: 3.6 out of 5. Nugs: Long, dense nugs. Yellow in color. Fluffy with purple highlights. Burnt-orange hairs. Odor: Pleasantly burnt and cheesy. Bright and slightly lemony. Taste: Light and flowery hit, slightly sour upon exhale. High: Deep and uplifting high, mellow and bright. Head high. Sleestack is a Sativa-dominant strain (70-30) that has a great following. It’s bred from lines Shrom and Martian Mean Green, which was the 2005 and 2006 High Times Cannabis Cup prize winner. It brings a deep high that is mellow and uplifting. Sleestack strain has a quirky origin. It’s named from 70’s TV show The Land of The Lost’s alien race, the Sleestaks. 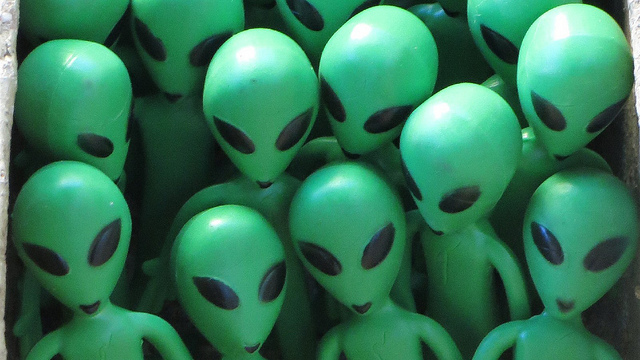 It brings the user a bright high which is alien indeed. Sleestack is an award-winning strain with award-winning roots and a champion high. It won 3rd place in the 2009 Spannabis Champions Cup for outdoor grown bud and it continues to please users today. Smoke Sleestack any time for a bright high that brings energy, clarity and a strong headed feeling that comes on hard. It brings benefits of stress relief and helps the user ease through the day and enjoy the moment. This is a classic and easy high that makes it the perfect Sativa for all-day use. Thank you for the great review. We are glad you liked our bud! Of course! Thanks for creating such a stellar product! Thanks for reading!